Sorry, Army, but I just had to. Can you really blame me? 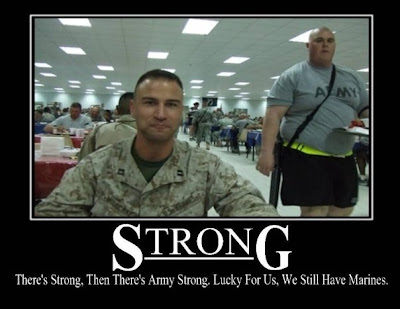 I guarantee you he is either retired or is in the pt awareness program in the army, you cannot go far in the army that overweight. My unit runs an average of 30 miles a week, we dont have anyone close to that size.